Apart from our very first year, we have never covered the award season here at FilmLand Empire, not even the Oscars. I felt that with our limited resources, we were better off leaving it to other sites that cover them more extensively and frankly, better, and it is difficult to find a different angle to cover them or offer anything new. But with the nominations just announced, this year is proving to be a particularly interesting year which is why I feel the need to write a few notes on them. Besides, love them or loathe them, and even with the slowly declining television audiences (not to mention dwindling cinema audiences), there is no denying their importance. Several approach on some film sites and twitter accounts are not proving very useful at all or even relevant when it comes to commenting the best films line-up. First of all, there is the "Me against the world" attitude, in which a writer compares his own list of favourite films against the nominated ones only to claim that the Academy has no taste/doesn't understand cinema/only nominates the same films. Another popular assumption is that the Academy has an agenda, making concerted decisions for nominations. This all stems from the incorrect assumption that the Academy is one entity which has his members discussing between themselves before making their choices. This isn't the case, the Academy has over 5000 members who vote in a secret ballot. And for all we know, many of them might vote for the most unusual, arthouse and unexpected films, but ultimately, the law of the average prevails, which explains the seemingly more consensual choices. As an experiment, a bunch of bloggers and myself ran our own film awards for two years running, and we were surprised and a little disappointed that even with only about 20 people voting, our list of nominations ended being pretty close to the Oscars themselves, despite some particular offbeat choices by some. What is immediately striking this year is how great the line-up of best films nominees is. Despite many lazily dismissing the nominations, the list is close to some of the most respected film magazines's own best films of 2014 lists: Boyhood, The Grand Budapest Hotel, Birdman, Whiplash and to an extent, Foxcatcher... Those films, shown at Sundance, Cannes or Venice as are far from your usual Oscar baits as you can get, unlike something like Unbroken which wasn't even nominated. And if you look at the lists of Oscar nominees over the last few years, there have been far more surprises and unexpected choices than at the Golden Globes and the Baftas. Despite a frankly baffling hate and snark campaign in her home country, it is safe to say the Marion Cotillard is the darling of the anglo-saxon film world. I remember those nay-sayers who claimed she did not have a chance to win with her first nomination for Ma Vie En Rose. Only for them to claim she'd be a one hit Oscar wonder, victim of the terrible Oscar curses which has sent so many winners back into obscurity shortly after their win (Mira Sorvino and Mercedes Ruehl anybody?). Yet she has built a great career both in France and the rest of the world, missing out on the best actress prize in Cannes three years in a row despite being the favourite each time. And with her second nomination for best actress in Two Days, One night today she has already made history, regardless of whether she wins (and it's not as far fetched as it sounds!). With it, she enters the elite club of French actresses who have been nominated twice, after Isabelle Adjani (who never won) and Juliette Binoche (who won for best supporting actress for The English Patient, and then received a best actress nod for Chocolat). But is already one step ahead of both, by having been nominated twice (and already winning once!) in the best actress category both times for films in French. Even more remarkable is how she received this nomination for Two Days, One Night without campaigning at all, and solely on the back of her fantastic performance (although for my money she was even more deserving for The Immigrant! ), pipping at the post favourite Amy Adams and Jennifer Aniston. And just because the Oscars still , they seem to be dazzled by any film featuring an English actor speaking posh. Hence the inclusion of The Imitation Game, and the most hilariously undeserved nomination this year, for its director Morten Tyldum, who delivers all the panache and dazzling invention of a Sunday night ITV period drama. All the more frustrating is the absence of Christopher Nolan. Like his film or not, you cannot deny the sheer brilliance of his direction in the awe inspiring Interstellar, which is the stuff dreams are made of and reminds us the evocative power of cinema. Ah well! 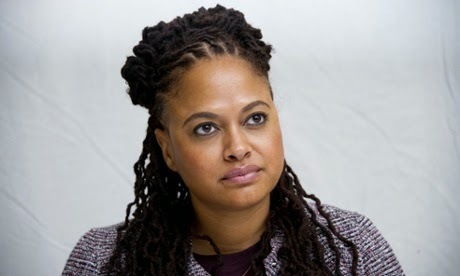 As a final note, it has been said that it is the worst year for women and/or minorities (at least Selma, directed by Ava du Vernay, did manage a Best Film nomination). All I'd say is, while there is no easy solution to this, I am looking forward to Geena Davis and the Benton Film Festival she has launched. Its aim is to highlight diversity, and it will put its money where its mouth is by offering a guaranteed run in cinemas for its winners (shame she had to accept Walmart's financing to achieve that though!). Fast forward a few years and perhaps, just the way as Sundance has often managed to have one film in the best film line-up of nominees, the exposure that this new festival is offering must be a step towards more diversity at the Oscars? We can all but dream! You can find the full list of nominees on the Academy's website.